Contact Rene Wubben, to be allocated a mooring prior to arrival, Mobile 087-2199570. Mooring fees to be paid in the bar. Do not take a mooring without prior permission as not all moorings may be suitable or serviced or are privately owned and owners could be returning shortly. 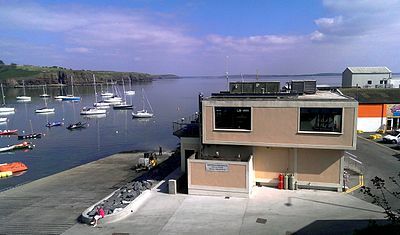 Waterford Harbour also has a 60 meter pontoon; Waterford Harbour Sailing club also assists with mooring on this pontoon. Charges Euro 2 per meter per night. Alternatively prior to arrival please contact the club on channel 69 or 051-383230 a couple of hours in advance if possible to allocate you a space. Waterford Airport is nearby with frequent flights to London Luton for your crew change or to meet up with your new crew. 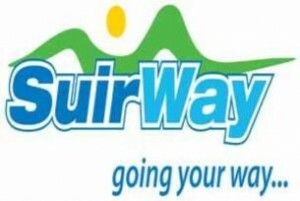 From Dunmore East there is the very good regular Suirway bus service that connects with Waterford City. This bus service gives access to the intercity bus service to Cork , limerick, Shannon and Dublin.